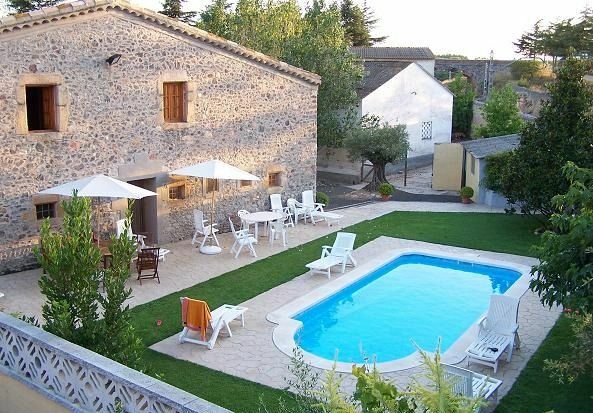 The house is a restored farmhouse from the year 1800 approximately. Located in the municipality of Sils, a small town in the region of La Selva. Built next to the village church, it preserves the rural character because the town has continued its growth by the other band and that adjoins the "Aiguamolls" (Wetlands) of Sils. The environment of the house is marked by the animals of the house, the birds and the proximity of the wetlands full of species of native birds and other terrestrial animals; our two apartments owe their name to this fact; we call them "Coll Verd" (wild duck) and Martinet (habitual bird of the wetlands). Very close to the farmhouse, we find the lake of Sils, which are the remains of an old lagoon, which occupied an area of ​​more than 7 square kilometers, is now a protected natural space with a great environmental and ecological value, in addition to having a very interesting landscape.